Well, here’s an interesting turn of events. 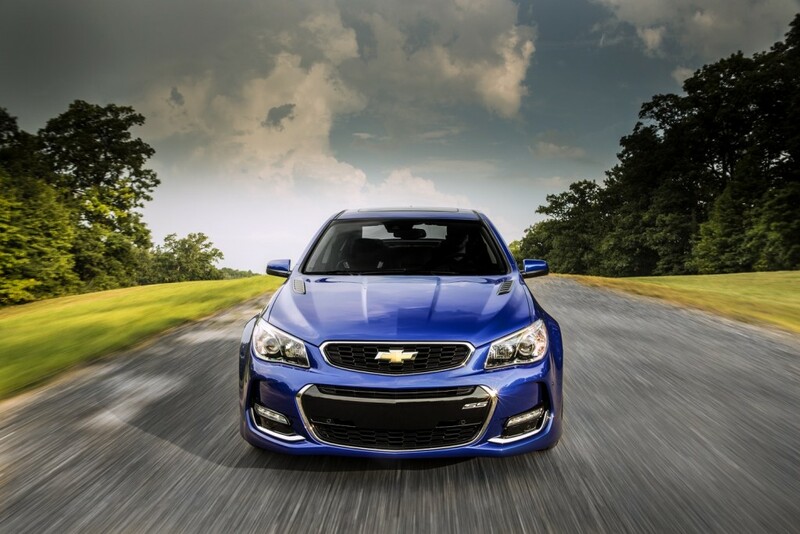 It was assumed the Chevrolet SS performance sedan would expire alongside the death of Holden manufacturing in late 2017, but lead Camaro engineer, Al Oppenheiser, has breathed new life into the possibility of a replacement. His words suggested there may be plans for a replacement in the works, and he was pressed on if there was a global vehicle that could fill the void. His words certainly do stir the pot on what General Motors has planned for Holden, and for enthusiasts alike in the United States. He went on to discuss how the automaker understands the Australian market. “Let me just tell you, that the leadership of our company – Mark Reuss was the managing director of Holden, he completely understands the market,” Oppenheiser said. “I’m not telling you much by that, but that’s the way it is,” he said. We wouldn’t advise anyone to hold their breath over a replacement vehicle, but the likelihood has increased with this latest news. It would make a great sedan version of the 2016 Camaro, and a good way to keep expanding the Alpha platform. Some version of a sport sedan needs to be in Chevy’s line up after the SS Sedan is gone. I have speculated for a long time for a Camaro Alpha based sedan. GM has been silent and that speaks volume in GM speak. To understand GM you have to understand they release so little information anymore. They also will announce when a model is about to die. I have met Al several times and gotten to speak to him personally. He has been about the best source of info on new products as you get and often it is what he does not say vs. what he does say. I remember years ago he told me the SS on the Zeta was coming when most people said it was never going to happen. Nothing in todays market is ever 100% anymore till a model is in the show room but odds are good we will see more of this story in the future. With The Malibu moving up in size, the Impala needing a replacement as well as the Holden we have a lot of products surrounding this area that could lead to a new model on either the Alpha or even Omega. Note too that this could really play into a Avista coupe or coupe sedan too. Depending on what they are planning could play into a Buick coming at some point or it could negate it too. Just keep in mind GM of today generally tells us little till about 18 months out anymore. Just because you do not hear anything does not mean nothing is happenings. The key here is Al did not say no and never going to happen. That either means it is happening or there is still a chance it could be happening. That is how Al and GM leaks future info anymore. As I’ve said it before. GM management would be out of their minds to try to drop a FWD Opel Insignia on Aussies and tell them….here is your next Commodore. I’m not saying Aussies wouldn’t like the Insignia, I’m sure they would, but not as the Commodore. I’ve heard time and time again that there always will be a RWD V8 sedan in Holden’s line up. I can’t remember who was it from Holden that said it, but it was repeated many times. GM took manufacturing away, but there is not way in hell they will kill Commodore. I just have too hard of a time to believe GM would be that stupid. But of course, there is no guarantees. Next Commodore/SS is a perfect fit for next generation Alpha as the SS is as wide as Camaro (75″) and as long as CTS (196″). Note, Alpha needs to be tweaked to accommodate RHD vehicles. Omega is for longer vehicles. CT6 is about the size of Impala or Caprice. Question is, would GM keep an SS name or introduce something new or resurrect something old if they decided to bring next Commodore here? I believe there will be a next generation proper Commodore. Note how quickly negotiations “broke down” between GM and Dumarey about saving the Commodore. He’s probably one of the few none GM people that know about next gen Commodore. Great reply Scott. One would imagine that GM has a long list of improvements for the SS brand including gas mileage. Chevrolet is also trying to figure out what to do with the Impala since large car sales are struggling industry wide. What about the Nascar impact when the Holden based SS is phased out? A Camaro based sedan makes sense. Here is what I have envisioned and speculated on. The Malibu has gone larger and closed in on the Impala that is close to the Lacrosse already in size. Do you continue to make similar cars in similar prices or do you go global? By going global you can sell the smaller numbers in a bunch of different markets and still make a volume that can satisfy a business case. Right now the Impala, SS and Lacrosse are all pretty close in price and size. The SS is heavy and as about as old as you can let product get on the Zeta anymore. What you do is make a sedan based on the Camaro platform give it a personality and style of it’s own and you h ave a car that could compete performance wise with a BMW as a much lower price with the 4-6 and 8 cylinders. Lets face it the new Camaro matched or bettered the M4 so why not add 2 more doors and sell a lot more leveraging out the car even more. Now this would not hurt Cadillac as they will continue to move upscale and will get many more better items in their models that will never show up on the Chevy version. Also since it would be 2018 at the earliest I am sure they may have had time to incorporate a RHD into an up dated Alpha to make this available to Australia. This could be the performance car that has been spoken of as what would do better there than a new improved RWD sedan vs. a very expensive Vette or Camaro coupe that has a useless rear seat. They do like their sedans there. This also fits the mold for GM wanting to race what they make as in NASCAR. They have made a point they race cars that are sold as RWD unlike the others. They even use engines based on what you can buy vs. the others who do not even sell what they race or anything very close to it in a car. Ford is not racing a Coyote and the Toyota is claimed to be based on the truck engine? What so many tend to consider is only what we do know but never what all we don’t know about the GM future. I used to get tips on this 4-5 years out but that happens no longer as many auto reporters can attest to. The leaks have been long plugged and GM only leaks when they want and what they want anymore. An Alpha or Omega based car would fit well into a global plan for Opel, Vauxhall, Holden and Chevy. They could easily be sold in the middle east and even south Africa and south America. As for N America a sedan like this with the Camaro suspension sold as an Impala with a 4-6 cylinder engine would be a great model to set it apart from the Malibu. It would give them both room to work. Then make an Impala SS that would be just a little smaller but much lighter and stiffer for about the same price as today’s SS and you would have a car that could do better than the 2900 sold now. Globally the numbers would be even greater. Al would not have spoken here if there was nothing to this and he would have said no if there was nothing. This I expect was a big hint they were ready to drop. I would watch for NASCAR testing for a new body in the cup series as the first hint around june and then watch for mules showing up around August in death valley if this is to be a 2018 model. Keep in mind too that the Mules may not be 4 door sedans or if they are could be bodied as CTS Cadillac’s. Many times anymore the new cars are in plain sight with other bodies on them. I think an Alpha based replacement would be pretty awesome. I would call it the Impala SS and move the whole Impala lineup to Alpha in place of Epsilon II. Maybe the Impala would only be offered in the SS trim and the other trims (LS, LT…..ect..) would be discontinued. This is pretty much what I’m expecting. Perhaps a revised version of the Alpha or Omega platform could, and should, be used to underpin the next Impala. GM knows their way around engineering a RWD platform for different applications! So there should be minimal worries about potential overlap with Cadillacs using the same platform. However, it turn out to be even more pricier than the current Impala, but this is to be expected with new technology and a new level of performance. How about a 4 door Camaro to compete with the likes of the Panamera and Maserati? Like the idea of 4 door Camaro, but not so much to compete with Panamera and Maserati. I want it to be affordable. I would love an Impala to be dropped on Alpha, RWD and optional AWD, turbo 4 and NA 4, 6 and V8. You’d jump in on the Charger market and take a good deal from them. Here it is ladies &gents, a legitimate chance to bring back The excitement division Pontiac. They say Holden will no longer be building cars in Australia, but still involved in development, whatever that means. Holdens are some of the coolest and ballsiest cars around, combining there people with North America design influence, could be just what the doctor ordered. Before GM axed Pontiac to get the bailout dough from Obama, they had planned to scale down the Arrowhead division, making it a rear drive only performance oriented niche car maker. Well the money is paid back, and god willing we will have a real American back in office soon. Now is the time, they build Camaros in Canada still, bring back Pontiac and let the Aussies build them down under. Correction on saying that Camaros are still built in Canada, forgot the new Sixth Gen cars are now built in Michigan. Canada has all the equipment to built an Alpha based longer RWD version to continue the SS………. You Already have a great fwd Impala,put the 3.6tt in it and call it Impala SS. YAAAA! Yes, I agree with a 3.6TT 2 door coupe IMPALA SS. GM needs to consider this as they are doing away with the SS model. 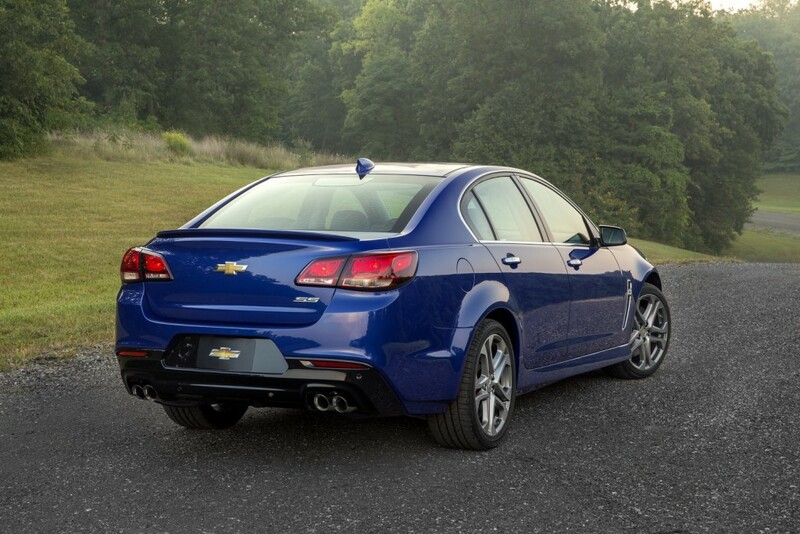 Would differently purchase a Impala if GM would build a 2 door coupe with a SS option and a 3.6 TT. The extra 2 doors are the only thing holding me back from buying one right now. The Camaro, while nice, is not really for the older (60 ish) folks but the SS is.